Conceived as a sequel to Tapestry in the Renaissance: Art and Magnificence (spring 2002), this international loan exhibition will be the first comprehensive survey of 17th-century European tapestry. Drawing from collections in more than 15 countries, it will present 45 rare tapestries made in Brussels, Paris, London, Florence, Rome, and Munich between 1590 and 1720, along with approximately 30 drawings, engravings, and oil sketches. From the Middle Ages until the late 18th century, the courts of Europe lavished vast expenditure on tapestries made of precious materials after designs by the leading artists of the day. Yet this spectacular medium is frequently misrepresented in modern times as a decorative art of lesser importance. Tapestry in the Baroque will challenge this notion, demonstrating that tapestry remained among the most prestigious figurative mediums throughout the 17th and early 18th centuries, prized by the rich for its artistry and as a tool of propaganda. The exhibition will investigate the stylistic and technical development of tapestry during the 17th century and the contributions of artists such as Peter Paul Rubens, Jacob Jordaens, Simon Vouet, Charles Le Brun, Pietro da Cortona, and Giovanni Romanelli, as they responded to the challenges of the medium in unique and individual ways. Drawing from collections in more than 10 countries, Tapestry in the Baroque: Threads of Splendor presents 40 rare tapestries made between 1590 and 1720. Commissioned by kings, popes, and noblemen, these woven frescoes embody the grandest artistic ambitions of their patrons. The pieces have been selected for their condition and color, and together will provide an unprecedented insight to the role of tapestry in 17th–century court culture. The secondary theme of the exhibition is the stylistic development of tapestry during this era and the contributions of artists like Peter Paul Rubens, Jacob Jordaens, Simon Vouet, Charles LeBrun, Pietro da Cortona and Giovanni Romanelli, as they responded to the challenges of the medium in unique and individual ways. The exhibition will include about 25 designs and oil sketches, demonstrating the thought and artistry which these woven frescoes required. About half of the tapestries in the exhibition derive from Flemish workshops, reflecting the preponderant role of the Low Countries in the greatest tapestry production of the day. Highlights of the Brussels tapestry industry include the Triumphs of the Church designed by Peter Paul Rubens for the archduchess Isabella in 1626, tapestries from the Austrian state collection designed by Jacob Jordaens and others in the 1630s and 1640s, and the Victories of the Duke of Marlborough woven in Brussels in the early 1700s for Blenheim Palace in England. Migrant Flemish weavers also played a key part in the formation of new workshops elsewhere in Europe. The exhibition will include rare examples of this work, including a throne canopy made for the King of Denmark in 1584, tapestries made at Mortlake for Charles I, King of England in the 1620s, and exquisite tapestries from Florence, Rome and Paris. Some of the most ambitious tapestries of the day were woven for Louis XIV at the Gobelins manufactory, established in Paris in 1662. The exhibition will include a survey of the finest products of this enterprise. The exhibition comprises nine sections that follow the development of the leading European tapestry centers between the mid-1580s and about 1720. The first section focuses on the diaspora of weavers from the Southern Netherlands during the civil war of the 1570s and 1580s and the creation of new workshops elsewhere. It opens with a spectacular throne canopy made by Flemish weavers in Copenhagen in 1584, and wall hangings from a manufactory established in Delft in about 1590 by Frans Spiering, formerly of Antwerp. The Spiering workshop enjoyed great success during the following 20 years, providing tapestries to the Protestant courts of northern Europe from designs by artists like Karel van Mander the Elder. This section will also include tapestries made in Munich in the early 1600s for Maximilian I by Flemish artists and designers. The second section of the exhibition will focus on the revival of the Brussels industry in the early 1600s, under the patronage of the Archdukes, Albert and Isabella. Local artists lacked the design experience of their forebears, as evidenced by sets such as the Battles of Archduke Albert and, consequently, “old master” designs continued to play an important part in Brussels production throughout the first third of the 17th century, as various examples will illustrate. During the 1610s new life was introduced to Brussels tapestry design by Rubens’ Decius Mus designs (ca. 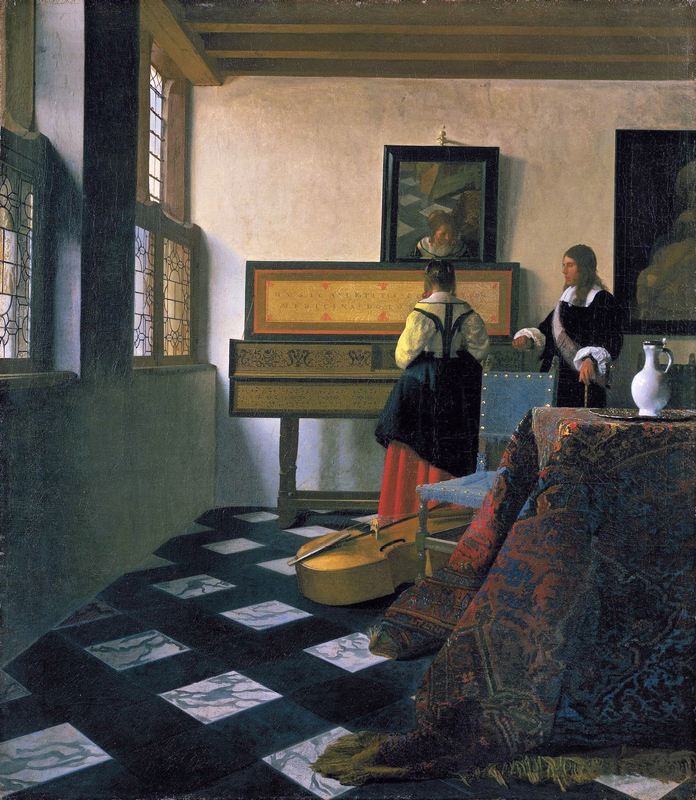 1616), which will be represented by an especially fine weaving from the Spanish royal collection. Rubens painted the cartoons for the Decius series in oil on canvas, rather than the traditional medium of watercolor on paper, with the consequence that the design was conceived in terms of color, light and shadow, which were challenging for the weavers to reproduce in wool and silk. Nonetheless, the series provided an important new design to the repertory of the Brussels workshops and, in time, a significant model for other designers, both in Brussels and elsewhere. The recession of the Brussels industry during the last quarter of the 16th century allowed the tapestry industries in other countries to grow and flourish (often with the aid of immigrant Flemish weavers). The most important of these competing centers was Paris, which will be the subject of the third section of the exhibition. Here again, the challenge was to reference good designs. Late 16th-century artwork provided some models, such as a manuscript Story of Artemisia created in the 1560s for Catherine de Medici with illustrations by Antoine Caron. Forty years later, this was used as the basis for cartoons painted by Toussaint Dubreuil, among others. A new repertoire was introduced from the early 1600s by artists such as Henri Lerambert, who was responsible for completing a Story of Diana series conceived by Dubreuil. This will be represented by an especially fine weaving from the Kunshistorisches Museum, Vienna. The continuing quest for new designs led Louis XIII to commission a Story of Constantine series from Rubens in 1622. The resulting work is one of Ruben’s greatest contributions to the tapestry medium, although it failed to capture the royal appointment for which the artist hoped, partly because Louis and his courtiers perceived some of the same design flaws in the compositions as those already noted in the Decius series. It was not until the late 1620s that the Paris ateliers found their true champion with the work of Simon Vouet. Like the most successful tapestry designers of the mid-16th century, Vouet produced his cartoons in collaboration with a team of artists, some skilled in landscapes, others in border design, ensuring that the whole surface of the completed cartoons was well drawn, richly patterned, and visually engaging. The exhibition will include one tapestry and various engravings from Vouet’s Story of the Old Testament. Henri IV’s patronage of the Paris workshops provided an example for other courts of the day. In 1619, James I, King of England, founded a new manufactory at Mortlake on the outskirts of London, staffed with Flemish weavers who were enticed to England in great secrecy. The fourth section of the exhibition will consider the production of this workshop before the outbreak of the English civil war in the early 1640s. During its early years, Mortlake also depended for models on “old master” designs, such as Raphael’s Acts of the Apostles, the original cartoons of which were purchased in Genoa in 1623. The first set of this design was woven for Charles I (king from 1625) between 1626 and 1636, with elaborate allegorical borders designed by the German artist Frans Cleyn. The exhibition will include one piece of this set. During the following decade, Cleyn developed new series for the English court under the influence of work by Rubens and Van Dyck. Rare examples of his work will be included in the exhibition. The fifth section of the exhibition will return the focus to Brussels. In 1626 the Archduchess Isabella commissioned Rubens to create a series of tapestries for the convent of the Descalzes Reales in Madrid. The resulting Triumph of the Eucharist series, Rubens’ most ambitious tapestry scheme, is an all-surrounding, tromp l’oeil ensemble that blends biblical and allegorical figures with contemporary portraits. The ensemble survives in its entirety and the Spanish royal collection has agreed to lend two key pieces to the exhibition. These will be displayed in the context of oil sketches by Rubens so that the project can be followed from conception to final design. The second part of this section will feature work by Rubens’ contemporaries and followers, such as Jacob Jordaens and Jan van den Hoecke, who combined the tromp l’oeil and bravura of Rubens designs with more decorative and anecdotal elements. The tapestry designs of these and other artists ensured the continuing vitality of the Brussels workshops during the mid-16th century. The seventh section of the exhibition will concentrate on the Gobelins manufactory, created by Jean Baptiste Colbert in Paris in the early 1660s. Colbert amalgamated the existing Paris workshops at a single site, under the direction of the versatile and gifted artist Charles Le Brun, with the intention of devoting their energies to the production of splendid tapestries to aggrandize Louis XIV. Benefiting from royal funding and the combined efforts of the most skilled artists and weavers in the country, the tapestries produced at the Gobelins during the following three decades are as fine as any tapestries ever produced. The exhibition will feature pieces from some of the most ambitious and artistic series made for Louis, including the Elements, the Story of Alexander, the Story of the King, and the Royal Residences. Colbert died in 1683 and under his successor, Louvois, Le Brun fell from royal favor. During the 1680s a significant portion of the Gobelins production was dedicated to the reproduction of some of the finest tapestry designs of the 1520s and 1530s, as well as various fresco schemes by Raphael and Giulio Romano, in an attempt to appropriate the riches of past patrons to the court of Louis XIV. Key examples will be included. A number of new designs were also developed from a variety of sources, including a series depicting the exotic landscape and animals of Brazil, inspired by paintings of the Dutch artist Albert Eckhout. At the same time that Colbert established the Gobelins, he also established the Beauvais manufactory to produce tapestries for the commercial market. The eighth section of the exhibition will focus on this production, which had a more modest and decorative character than that of the Gobelins. Series such as the Berain Grotesques and the Chinoiseries introduce a decorative character that reflects the changes in contemporary court taste. With the example of the French court and the Gobelins, tapestry remained a central component in the decoration of the courts and great houses throughout Europe during the last quarter of the 17th century and the opening decades of the 18th century. Meeting this demand, the Brussels workshops enjoyed something of a second renaissance, producing exquisite tapestries from designs by artists like Jan van Orley and Philippe de Hondt. The exhibition will conclude with some of the most ambitious of these works, such as the Victories of the Duke of Marlborough from Blenheim Palace and a Naval Battle from Neues Schloss, Schleissheim. The latter is the size of a modern-day cinema screen and just as dramatic as a Hollywood movie. A two-day symposium will be held in connection with this exhibition on Saturday and Sunday, October 20 and 21, 2007. Free with Museum admission; tickets and reservations not required. For more information, please contact lectures@metmuseum.org. The exhibition is made possible by the Hochberg Foundation Trust and the Gail and Parker Gilbert Fund.